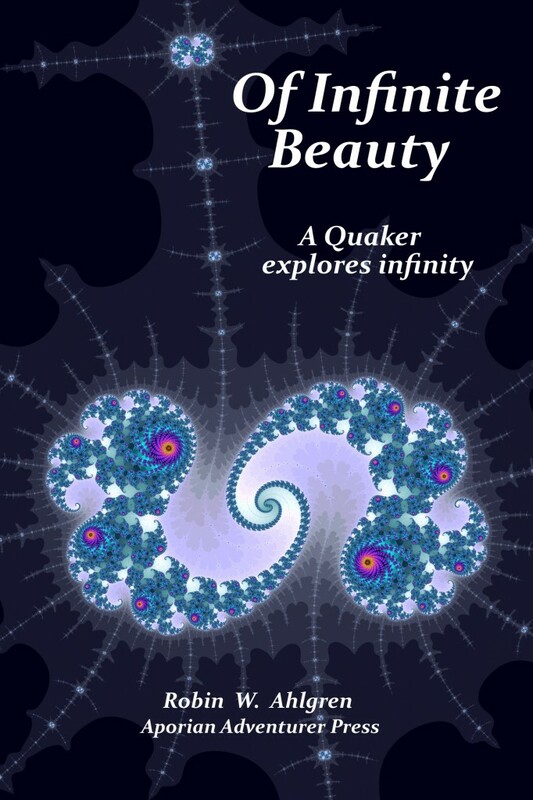 I wrote a book filled from cover to cover with beautiful pictures of infinity, yet it’s a very short book. You can buy a copy for £15.00 (free p&p in the UK, £3.50 p&p for the USA) by sending an email to rwa@aporian.com. But then, once the book began to sell, I thought of a host of other things to make a website beautiful. It will take time for me to sort these ideas out and include them on the site. I was shown this book at our Quaker meeting this morning and immediately asked to borrow it. I thoroughly enjoyed reading it and was intrigued/ overwhelmed by the beautiful pictures. I would like to order some copies to surprise others. Please tell me how to order and get 5 copies sent to Botswana. Robin is the great grandson of a Finnish bigamist. In a varied and chaotic career he has worked as a systems programmer, management consultant, postman, computer operator, bus conductor, free-lance trainer, tar spreader, local government officer, toffee maker, nuclear plant designer, lecturer, dog walker, astrophysicist and auxiliary nurse, (but not all at the same time, nor in that order). He is now a full-time writer and lives in Yorkshire in the UK. He is trying to be a Quaker, but he keeps getting muddled. He likes cats and badgers. He dislikes boredom and being told what to do. He thinks he is nearly normal.